Despite the promise of getting to spend the next decade or so trying to make Russell Crowe happy, Warner Bros. has passed on Ron Howard's adaptation of The Dark Tower, making it the second major studio to balk at embarking on their own perilous quest to turn the Stephen King series into three films and two limited-run TV series. 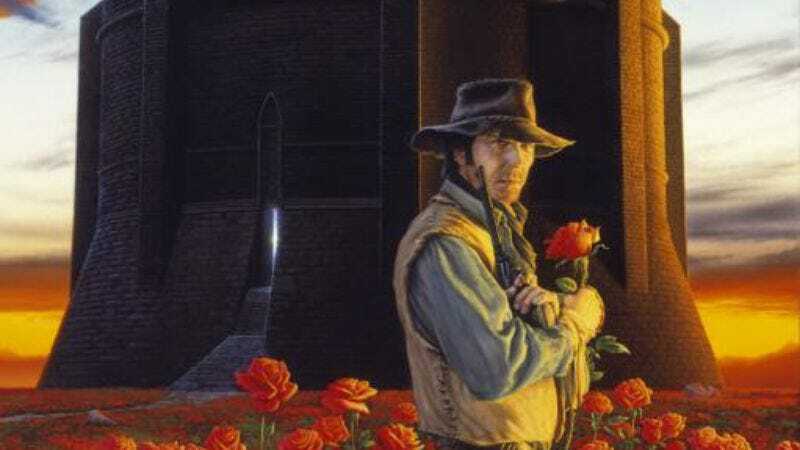 And yet, much like The Dark Tower itself, just as you think it's finally ending, it begins all over again: Deadline reports that Media Rights Capital—currently feeling pretty confident about its summer hit Ted and Neil Blomkamp's upcoming Elysium—is reportedly in "serious talks" to pick up the elusive, would-be franchise as it flees across the desert. (In even more circular fashion, MRC has a distribution deal with Universal, meaning it could eventually wind up at that studio after all.) Howard, at least, seems optimistic, last night tweeting the Dark Tower-inspired quote, "Ka is a wheel"—which is true, in that we just keep ending up in the same place.